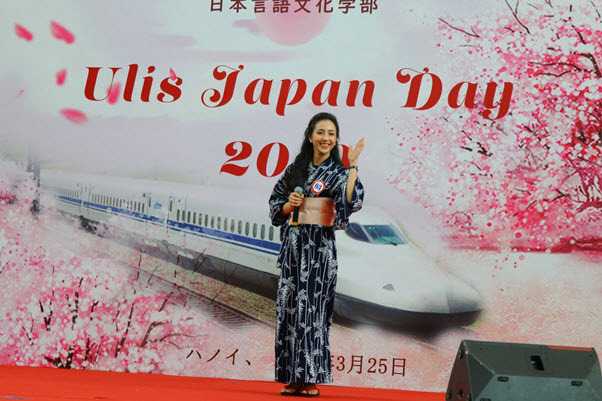 On March 25th, 2019, ULIS – VNU organized ULIS Japan Day 2019 – The First Japanese Cultural Festival at the Sports Complex. The festival was attended by representatives of the Embassy of Japan, diplomatic agencies, businesses, universities and high schools offering Japanese language courses. 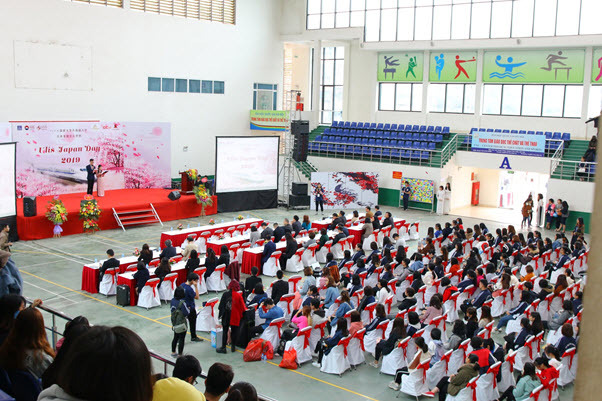 On the side of ULIS, President Do Tuan Minh, representatives of departments and students attended the festival. 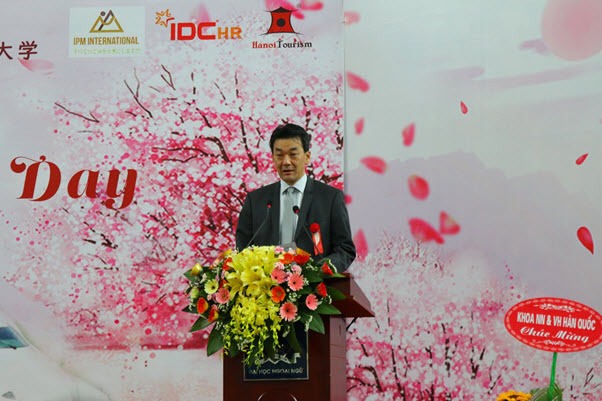 In his opening remarks, President Do Tuan Minh said that ULIS Japan Day began to be held annually at ULIS from 2019. The festival is part of the annual ULIS language and cultural promotion activities (such as the Korean Cultural Festival, French International Day, Arabic International Day, Thai Language Day, etc). 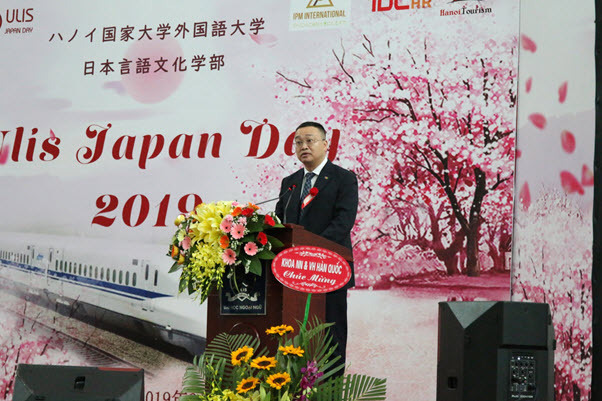 Extending his congratulations, Japanese Ambassador Shinichi Asazuma affirmed that languages were a very important tool to understand the culture of a country. Therefore, he was pleased to see Vietnamese students passionate about learning Japanese and hoped that they would become a “bridge” to tighten the Japanese-Vietnamese relations. 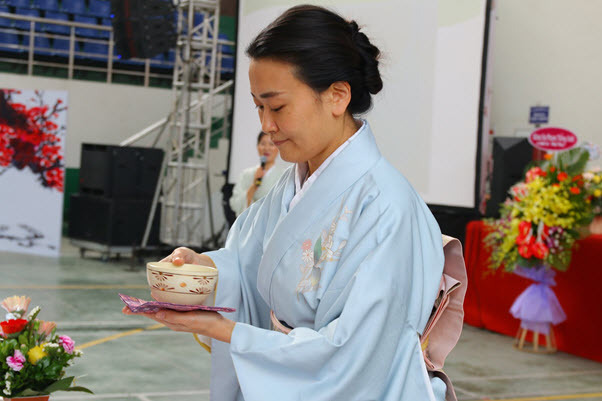 In the course of the festival, visitors had the opportunity to participate in many exciting activities of the festival such as the FJLC Ambassador’s Contest, Japanese-Vietnamese cuisine introduction, tea art introduction, kendo performances, Shamisen performances, Obon dance, storytelling, magic performances, etc. 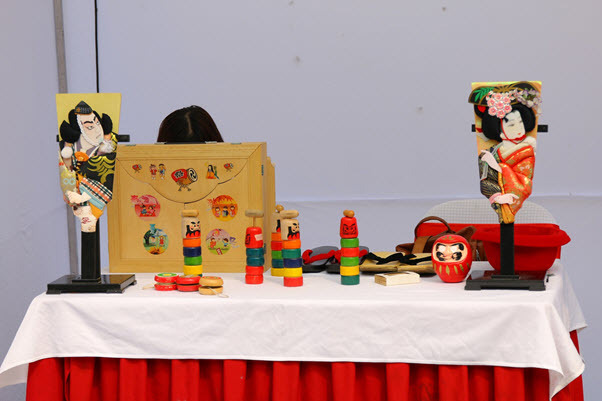 The first Japanese Cultural Festival attracted about 300 visitors.